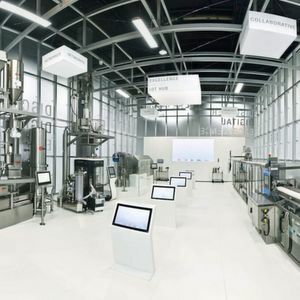 Pharmaceutical production is becoming more digital and connected. Players who can deliver coherent, logical concepts will be part of the next major Industry 4.0 project. The five members of Excellence United have made great progress with their IoT Hub and have shown what it is already capable of. But this is just the beginning. In the interview, the five executive directors explained why. The strategic corporate alliance Excellence United presents its new Industry 4.0 concept, which sets new standards. 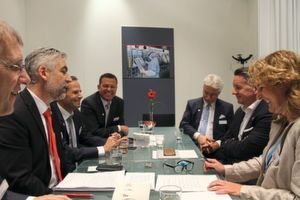 The strategic company alliance Excellence United can now look back on seven years of successful cooperation, with no slowdown in sight at this year’s Achema. 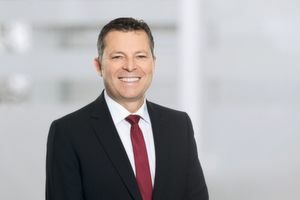 The five companies — Bausch+Ströbel, Glatt, Fette Compacting, Harro Höfliger and Uhlmann — have really settled in together now and have completed projects in a wide range of different constellations. The Alliance's installed basis adds up to some 50,000 units/systems worldwide — an impressive number that underlines its solid anchoring in the pharmaceutical industry. But the fact that all the companies are classic, family-owned SMEs also bonds them together. And since each one sees itself as a technology leader in its particular field, there is no wrangling over competence overlaps between executive directors and owners. “We feel really happy as part of the group,” underlines Thomas Weller, CEO of Harro Höfliger, during the expert discussion on the third day of the trade show. A joint project that has been highly successful from his point of view is the new drug delivery device X Straw: a drinking straw with pre-dosed medication on a pellet basis that makes drug intake particularly easy. The Mikropx technology — a continuous fluidized bed agglomeration method for the production of the micropellets — comes from Glatt, the filling technology from special machine manufacturer Harro ­Höfliger. Partners of ­Excellence United are also involved in the filling and packaging of the Respimat inhaler from Boehringer Ingelheim. Harro Höfliger was in charge of the inhaler technology, while Uhlmann took care of ­packaging and labeling and ­Bausch+Ströbel looked after process development and production. And an important milestone on the path to continuous production is the Modcos system for continuous OSD production — from powder weighing to the final tablet.